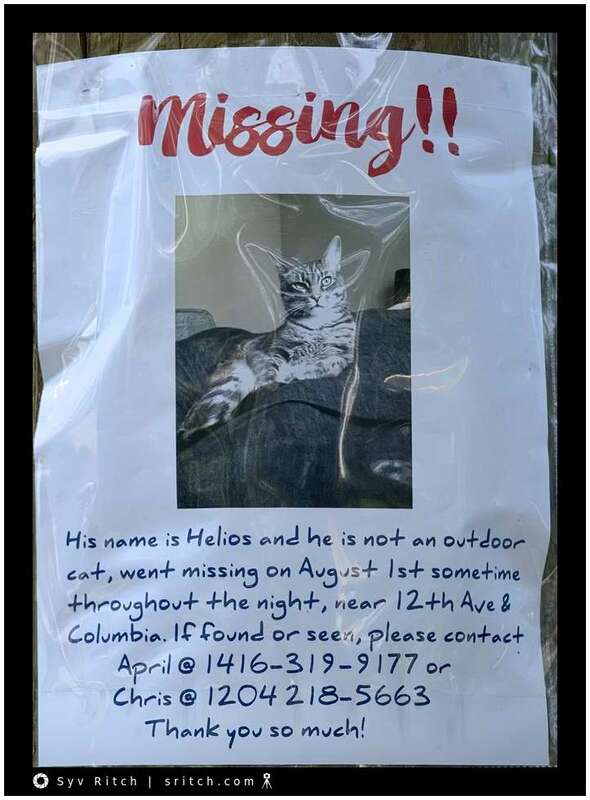 Helios, the cat, has gone missing. There are a lot of missing cat signs. 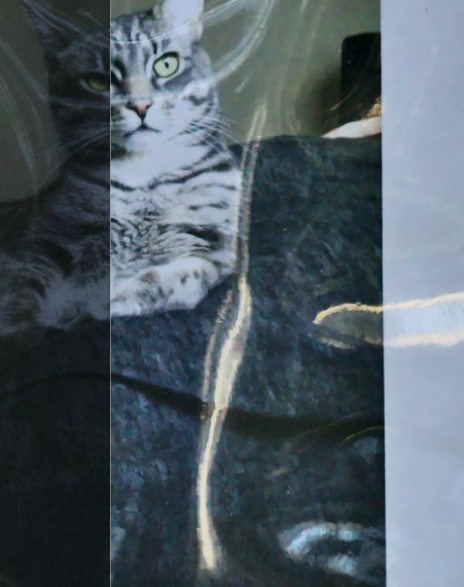 If Helios’ owners can find him within a couple of days of him disappearing then they are OK. The problem is that it’s very unlikely that they will ever find him. In my neighbourhood, almost all of these missing cats have been coyotes’ dinners. We have a very large park with many smaller parks in the neighborhood and there are quite a few coyotes. I’ve encountered a few myself. I have seen single coyotes during the day but often as a pair at night. BTW, the phone numbers are not Vancouver/local phone numbers.